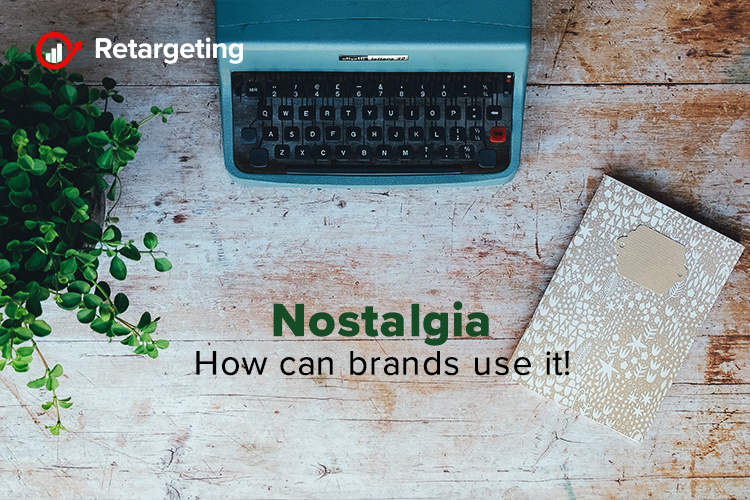 Nostalgia – How can brands use it! Nostalgia is a powerful instrument. From childhood movies to the music that accompanied us through high school, our memories invoke feelings of security, comfort, and trust. After all, our past experiences have formed who we are today. Nowadays millennials feel the most nostalgic due to the rapid technological revolution they’ve experienced in their lifetimes. They’ve seen the birth of the internet, the rise of social media and the arrival of virtual reality and artificial intelligence. Just because your audience didn’t live through a particular cultural movement doesn’t mean it can’t feel nostalgic for it. Enter fauxstalgia: the yearning for a time in the past, even though you may never have experienced that time directly yourself. Craving culture from a bygone era. It’s the reason three generations identify with the 1967 film, The Graduate, and why young adults feel nostalgic for music from their parents’ youth. In our shared experiences and collective memories are universal feelings and timeless themes that transcend generations. You can leverage fake nostalgia when building your marketing your products by linking past experiences with present situations. A great example is the mobile game Pokémon Go that broke five Guinness World Records and became the fastest mobile game to gross $100 million. Even though millennials were the ones that grew up in the ‘90s watching the cartoons and collecting the cards, so they jumped on the app out of nostalgia, it was largely a Gen Z-driven phenomenon. In addition to using a hyper-targeted strategy, the game sparked a tradition of passing along a loved game from millennial parents to their offspring in a contemporary way. On top of that, the developers of the game saw that Gen Z lives on their mobile devices and has a special affinity for gaming. Pokémon Go evoked real nostalgia in millennials and a faux, but equally powerful, nostalgia in Gen Z, winning over two generations. Another example of fauxstaglia is the Netflix series Stranger Things. Its ’80s inspired setting is full of retro objects like Polaroid cameras, phones attached to walls, and walkie-talkies. While millennial viewers reminisce about their childhoods, the series has all ages longing for a simpler life where kids play in the woods and ride bikes, and where being disconnected from computers and smartphones allows everyone to be imaginative. Along with fauxstalgia, there’s another way for entrepreneurs to leverage nostalgia in their brands: constructing something to feel old, even when it’s new. Associating images and messaging with positive references from the past humanizes a brand and facilitates meaningful connections between the past and present. Because nostalgia is rooted in previous experiences, tying things to the past has a particularly effective emotional trigger. It’s the reason we add vintage filters to photos; it creates a feeling of bittersweet longing for that moment. Use the past as inspiration and find ways to invoke emotion. Newstalgia happens often in fashion, where modern brands leverage past styles and themes. An example was Banana Republic’s Mad Men capsule collection in 2012, which leveraged the award-winning TV series, set in the 1960s, for inspiration. The company’s campaign created a line of retro ’60s-inspired clothing, reminiscent of the period and the stylistic choices seen in the series. By launching a “new” collection that felt old and full of history, Banana Republic added a sense of heritage to its apparel and brand, through association with a specific moment in time. Looking forward, a strategy of invoking nostalgia will continue to be one of the most powerful ways for you to build trust with consumers and get them to buy into your idea and connect with your company. As evidence, consider research that has shown that consumers make purchase decisions based on appeals to emotion. With these two trends, you can connect with old ideas and beloved themes, regardless of your industry segment. As we move ahead in an increasingly digital world, evoking feelings of family, engagement and comfort will only become more important. Average order value: Make clients buy more! Dominate social media in 2018 with these trends!